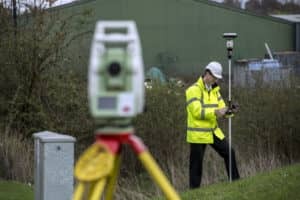 OnSite’s topographical survey department has extensive geomatics experience supporting architects and the civil / mechanical engineering industries with our comprehensive range of surveying services. Our teams use the latest GPS surveying equipment providing positional accuracy (x,y & z) ranging from sub-metre using single frequency DGPS through to centimetre level accuracy using RTK methods. All our surveys are tied to Ordnance Survey via the National GPS network using the latest transformations (OSTN02/OSGM02).